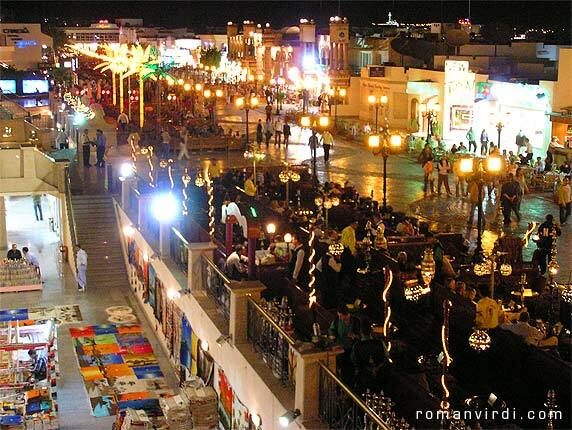 "The main shopping street of Sharm, "King of El Bahrain Kingdom Street". It gets rather noisy here at night, with a whole bunch of loudspeakers each trying to drown out it's neighbours. An open air Arabic cafe is at bottom right"